The addition of the coffee flavored maple syrup to the porridge and main dough added a nice slightly sweet undertone. You don't really taste the coffee but overall combined with the rice this one is a keeper. Add about 3/4's of the milk called for in the porridge to the dry ingredients in a small pot set to low and stir constantly until all the milk is absorbed. Add the remainder of the milk and keep stirring until you have a nice creamy and soft porridge. Remove from the heat and let it come to room temperature before adding to the dough. I put mine in the refrigerator and let it cool quicker. The dough will take 1.5 to 2 hours depending on your room temperature and will only rise about 1/3 it's size at most. Let the dough dictate when it is read to bake not the clock. Would you mind if I featured this on the homepage for a while? Truly gorgeous. That would be a honor! Congrats, Ian! By looking at the ingredients, this bread must be very moist and flavorful! Well done, Ian! Nice pictures, too! It was super moist and tasted amazing. I gave one loaf away and kind of wish I had kept if for myself :). Have some rolls to bake tomorrow and then have to make another porridge loaf most likely. Look forward to seeing some baking from you soon. That sounds -- and looks -- like one very special loaf! Appreciate your kind words. This one tasted great. 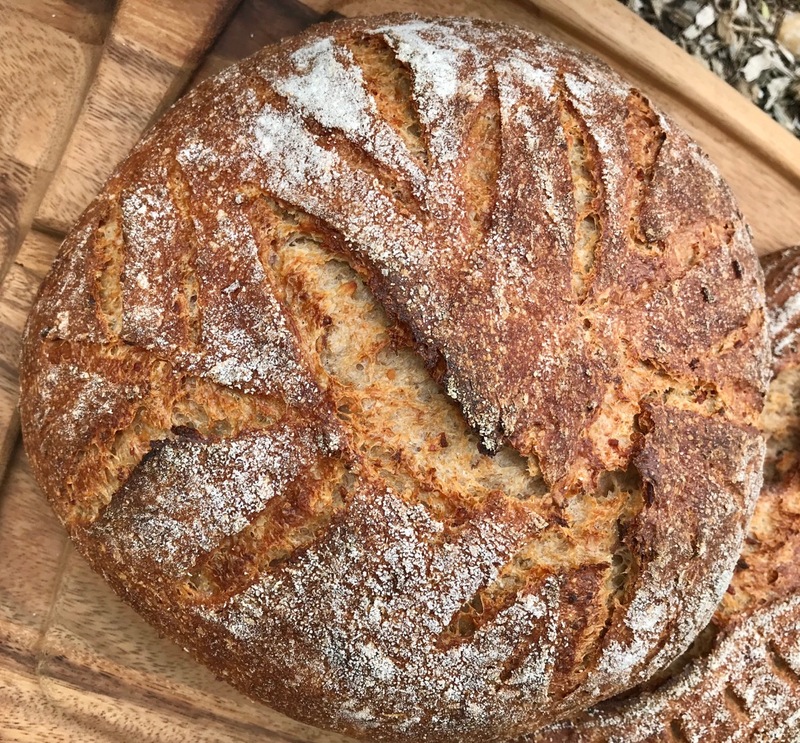 Hope you get to try making a porridge loaf yourself if you have not done it yet. are indeed pushing me in that direction! Still reading up on porridge/scald/soaker to try and understand differences and how/when to use which. 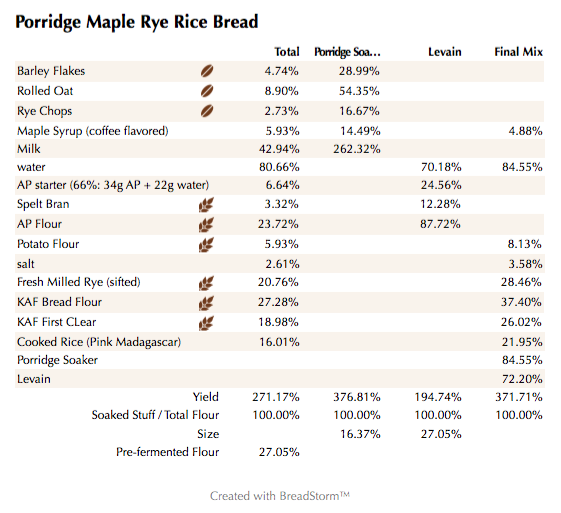 Do you have a rule of thumb for the proportion of porridge in relation to dough weight? I use around 16% for the porridge amount and it works perfectly. Porridge will make the crumb moist and soft while soakers usually do not do this. Soakers will add texture and flavor and nutritional value. My wife found some company in Brooklyn NY who sells all different flavored maple syrups. It smells fantastic and made the dough smell amazing even before baking it. 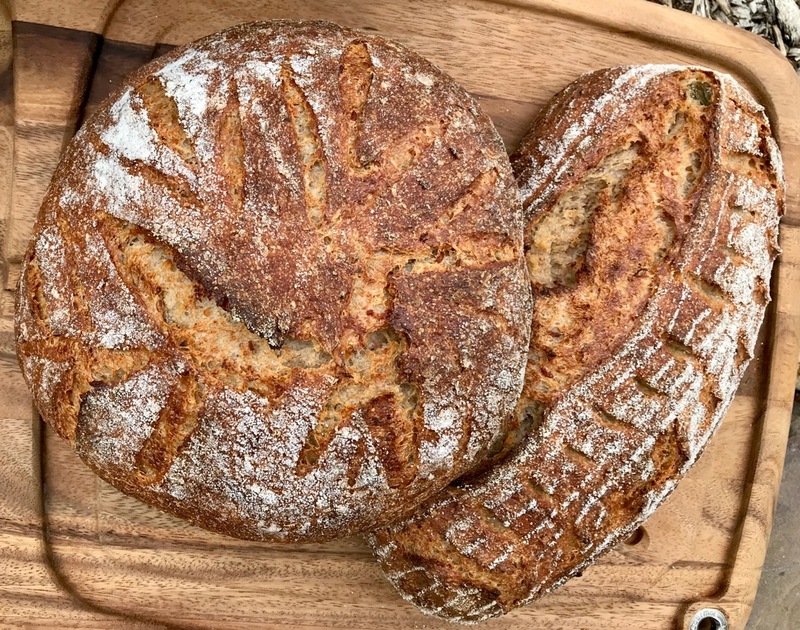 I hope you give this one a try as I know you love porridge breads too. Yea! Ian, I could tell by the name this one would be yours - love the combo of ingredients - and pink rice - so nice that its color didn't fade. Definitely a treat for your friends, and for you, too. Glad you like the bake Cathy. Hope you give it a try. 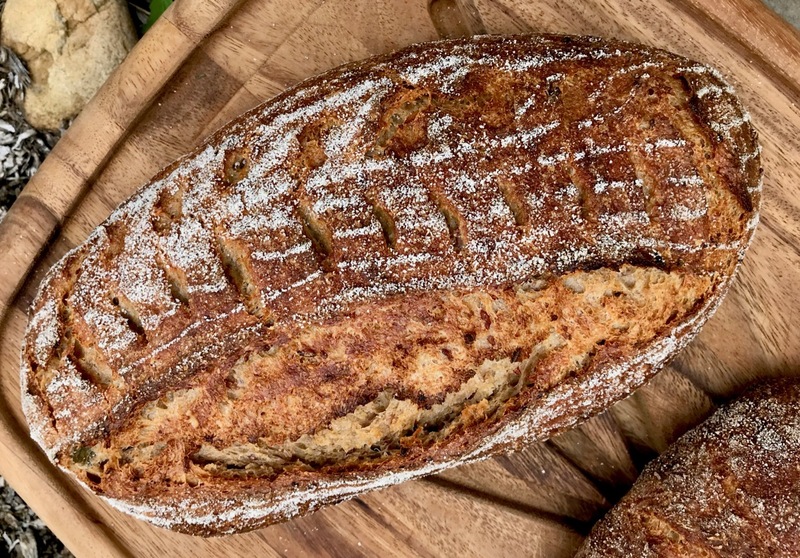 What a great time to include maple syrup in bread! 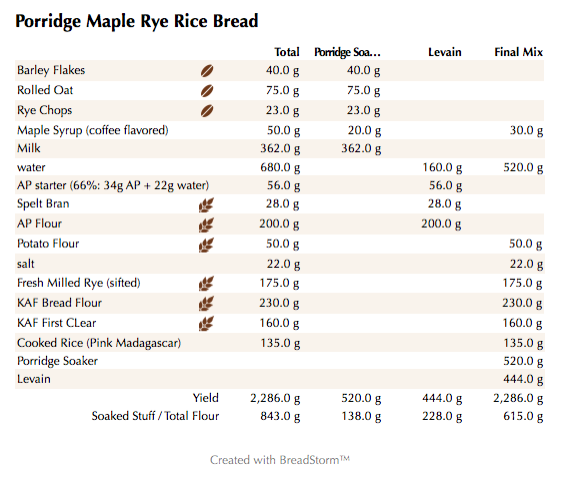 Is it just my imagination or one of your loaves really have a maple-leaf-shaped score? Congrats for the home page feature! That's a beauty! Wow, looks delicious too. Thanks for sharing. Glad you like the post. 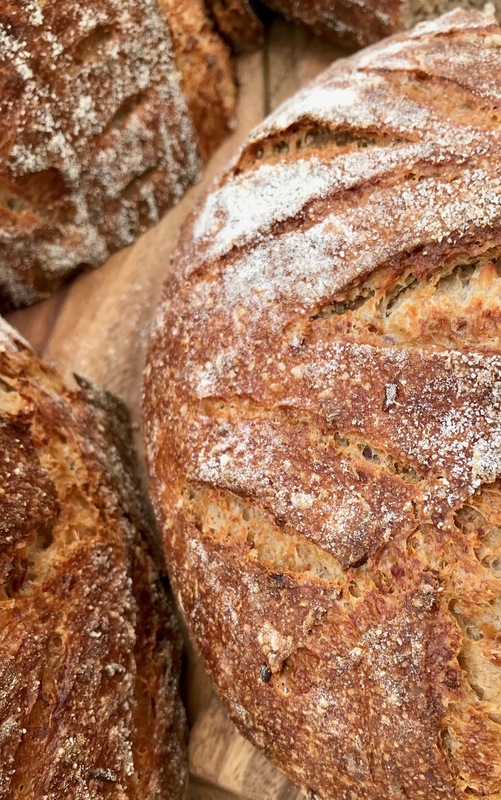 Another really nice bread Ian...the crumb looks soft and delicious and the crust is beautiful. Well done! Great minds think alike 😬. and all she said was 'you're not eating carbs:-) Hopefully you didn't have to go to Madagascar to get the little pink jewels. The dog park buddies have to be happy! Weve been trying some of these exotic rices that we find at Whole Foods. Just bought some green rice yesterday so I'm looking forward to trying it soon. Fall is here in NY and it's been rainy and chilly but today it was dry but in the 50's. We took the dogs to Westbury Gardens where they had a dog festival. They are pooped and both sleeping it off 🐶. Must be torturous not being able to eat your bread. I just got laid off so now I have plenty of time to bake while I look for a new job. Have some rolls ready to go in the oven shortly. Max and Lexi give Lucy their best and look forward to yiur next creation. I'm bookmarking this page for future. Looks fabulous. Quick question: what do you think the Potato flour added to the final flavor? Actually I didn't use the potato flour and forgot to delete it from the formula. I do,like to add it sometimes and it helps keep the bread fresher longer. Glad you like it. This one was a real tasty one for sure. The job search is certainly trying and so far no luck, but it does give me more time to bake. will I ever try this .... ? maybe someday. I hope you give it a try and let me know how it comes out. 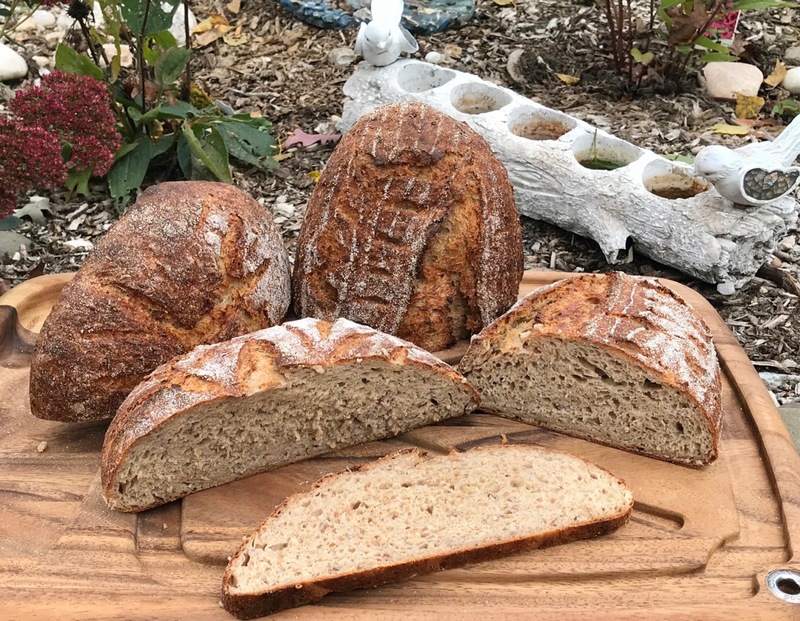 Bread looks amazing and delicious, thanks for sharing!